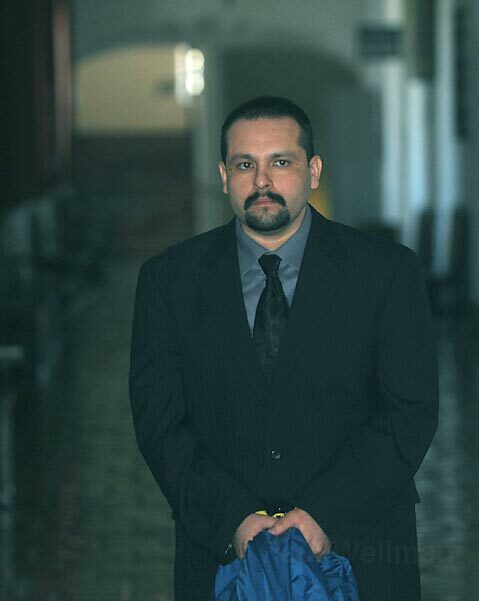 Originally charged with murder in the September 13, 2006 shooting death of Frank Tacadena, Johnny Lopez will find himself a free man in a matter of days. 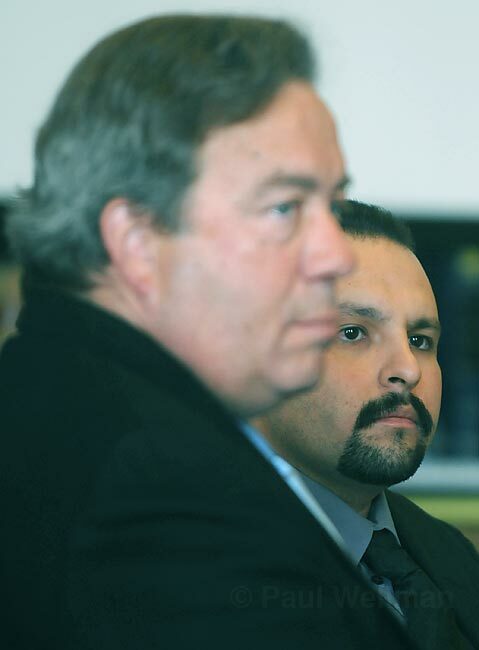 Earlier this month, Luis Sosa was convicted of Tacadena’s killing in Judge Frank Ochoa’s courtroom. That led prosecutor Hilary Dozer to work out a deal with Lopez, who testified in the trial against Sosa, his childhood friend and fellow Ventura gang member. Dozer said no concessions or assurances were made in advance of Lopez’s testimony at Sosa’s trial last month. But despite going into the testimony not knowing what Lopez would say, the testimony was “frankly quite important to the people’s case,” Dozer told the court. Lopez testified “without precondition,” Dozer said and gave the jury a lot of significant details of what happened prior to and following the murder, all of which corroborated what investigators uncovered. “His testimony, in essence, guaranteed a conviction for Mr. Sosa,” Dozer said. 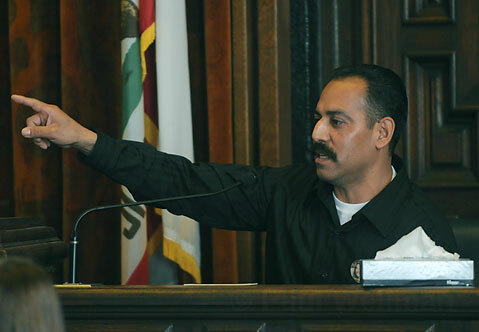 Even after Sosa’s case, however, Dozer could have still gone after Lopez for the original murder charge, because Lopez was at the scene of the crime, provided the gun to Sosa, and there was well known bad blood between he and Tacadena. Sosa, in fact, only approached Tacadena after a day of drinking because of that standing animosity with Lopez. But based upon the evidence, facts, and circumstances, Dozer said there was room for reasonable doubt as to Lopez’s murder charge. Instead, on Monday, Lopez pleaded no contest to a felony charge of being an accessory to Sosa after the crime, and was sentenced to three years in prison. Since he’s been in jail since being arrested for the crime, Lopez has accrued enough credits to be released as soon as paperwork is completed. But Lopez, despite his pending freedom, is essentially a marked man. Snitching on a fellow gang member is considered a big taboo in the gang culture. But an even bigger problem is talking about La Eme, a.k.a. the Mexican Mafia. Lopez did so on the stand, calling himself a soldier for the criminal enterprise largely run in the state’s prison systems. The penalty for such openness can be death. While Lopez had spent a lot of his time at Santa Barbara County Jail in isolation, he won’t have that protection in the open world, a point not lost on members of Tacadena’s family, some of whom expressed outrage and fury at Lopez. In his statement to the court at the sentencing of Johnny Lopez, Frank Michael Tacadena (pictured), said "You're the reason my dad is dead." While Lopez’s attorney, senior deputy public defender K.C. 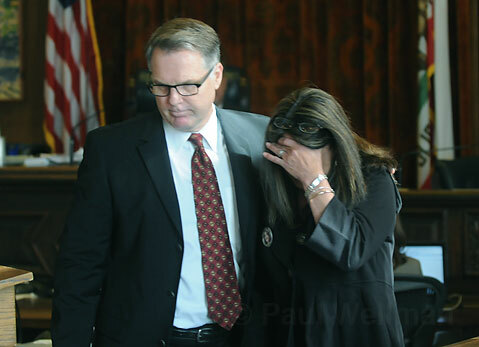 Williamson, called the shooting a “senseless and tragic loss of a loved family member,” there was no love lost from Tacadena’s family toward Lopez. For it really was Lopez, not Sosa, who had the beef with their father, they said. Tacadena and Lopez had known each other for years and, more than two years prior, the two had an altercation where Tacadena beat up Lopez. It was also Lopez whose gun was used. He admitted to supplying a gun to Sosa earlier that day, explaining that Sosa had some unfinished business in Lompoc he had to take care of. Lopez, who was given immunity during the Sosa trial, meaning anything he said couldn’t be used against him in his own trial, claimed he didn’t know Sosa was going to shoot Tacadena, and didn’t actually even see Tacadena get shot. 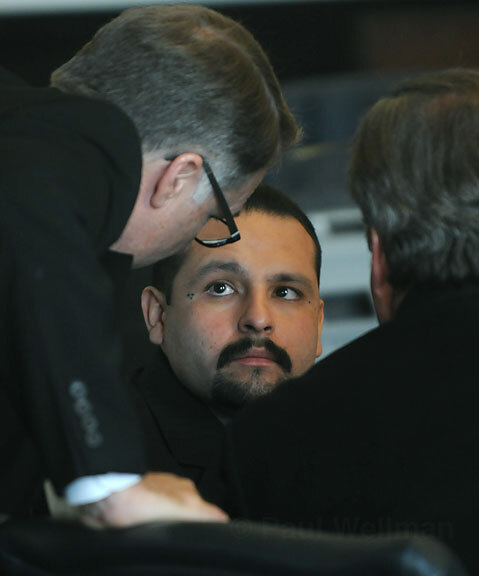 Johnny Lopez leaves the courtroom after being sentenced to three years for his role in the death of Frank "Pancho" Tacadena.